Jupiter is clear and distinct in the constellation Taurus, which can be seen in the east early in the evening, overhead about midnight and in the west before dawn. It is the brightest object in the sky (except when the Moon is around), flanked by Orion below and Gemini above. Even better, with binoculars you may see as many as four of the moons of Jupiter, appearing as small bright spots relatively close by. Depending upon the time, some or all four of these moons may be obscured as they orbit Jupiter. If you are in a pensive mood, ponder this: you are looking at nearly the exact same view that Galileo observed 402 years ago. 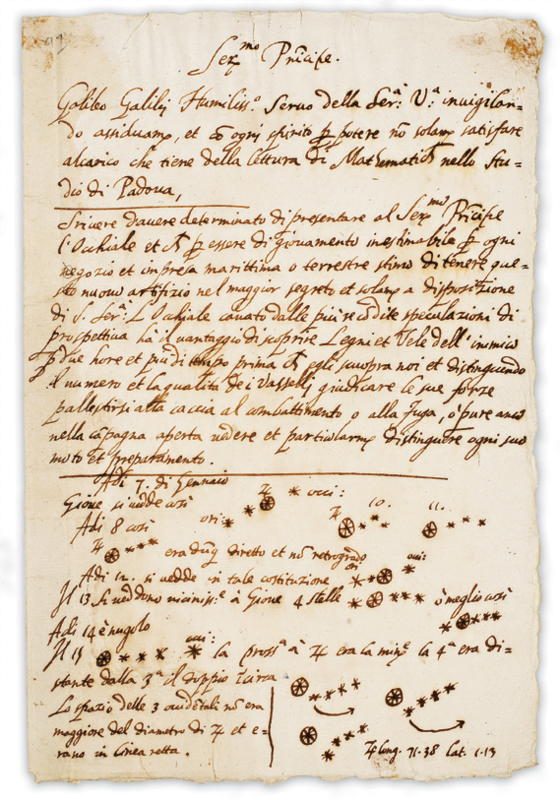 Also consider this: on January 7 1610, Galileo made his first note of seeing three &#8216-fixed stars’ near Jupiter. On subsequent nights he noted that the &#8216-fixed stars’ were actually moving. And on January 10, one of them disappeared! On January 14, a fourth appeared!! These simple observations over the course of a week clarified for Galileo that he had evidence for a sun-centered solar system &#8211 resulting in one of the most profound changes in modern thought and the shift to an empirical view of the universe. Galileo continued taking observations and measurements of Jupiter and its moons through March 2. Through 1610 and into 1611 he continued observations of the Jovian moons and also observed the phases of Venus, giving further evidence of the planets orbiting the Sun. 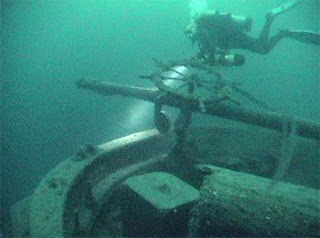 How does this relate to the Half Moon, a Dutch ship of exploration and trade? Consider the many connections: Oceanic sailors relied heavily on independently verifiable observations for navigation &#8211 this is the scientific method- the Dutch East India Company developed a rigorous program of training their navigators in such principles- Dutch lens makers devised the first working telescopes, with attempts to patent in 1608 &#8212- it was word of these early lenses that sparked Galileo to make his own- and navigators relied on occultation’s of the moons as they were eclipsed by Jupiter for precise timing even before the development of precise clocks. But sail with us aboard the Half Moon and watch our young student crew exhibit the same sense of wonder as they use tools not far removed from those of Galileo to measure the world around them and make their own amazing discoveries. It is these sorts of historical connections, as between Galileo and our student sailors, that energize all that we do with the Half Moon. Illustration: Galileo’s Journal Page Showing Movements of Jupiter’s Moons. From the University of Michigan Special Collection.